A young neighbor of mine recently told me about the "Rejection Hotline." Basically, it's a phone number young ladies can give to gentlemen suitors who are persistent yet undesirable to said young lady. When the young lad is ready to follow up on his "success," he calls the number and, instead of reaching his potential new girlfriend, he hears a mocking recorded message telling him that he has been rejected. Mean spirited? Funny? I guess it depends on your point of view -- and whether or not you've ever been unlucky enough to be handed the number on a napkin. But somehow it got me thinking about a new voice messaging system for the rector's phone. To complain about the rector, please press one. If you would like to return to the 1928 Prayer Book, press one. If you wish the rector's spouse would join the altar guild, press two. If you are displeased with the behavior of the rector's children during church, press three. If you feel the rector's sermons are too long, press four. If you feel the rector's sermons are too short, press five. If you think the rector never visits parishioners, press six. If you are tired of deviled eggs at coffee hour, press seven. If you think the rector talks too much about money, press eight. If you think the rector needs to talk more about money, press nine. If you do not like the rector's new haircut or have other issues with his personal hygiene, press ten. To reach the associate priest to triangulate the rector, please press two. To commiserate about the rector's poor preaching, press one. To complain about any of the above topics, press two. To leave an anonymous complaint about typos in the bulletin, please press three. For all other negative comments or "brainstorms" on how to make the liturgy more relevant, please stay on the line to listen to this menu over and over again. Complaining is actually a pretty insidious facet of parish life. That's not to say that disagreement isn't a natural part of community or that's it's somehow "bad." Indeed open and honest communication about differences in opinion are signs of a healthy, vibrant community of faith. Show me a parish without any disagreements or areas of discord and I'll show you a parish that is dying on the vine. When parishes are vital and growing, they are, by definition, changing and people respond to change in a variety of ways. Often the mumbling and grumbling has little to do with the broader vision and course that is being set. It finds itself bubbling over in areas of ministry that are seemingly unconnected to growth -- like the rector's habit of bringing her dog to work (no one's complained about Delilah!) or the choice of paint color in the parish library. Staying the course that the parish leadership has set and not getting distracted by petty complaints is essential to living into God's vision for the church. 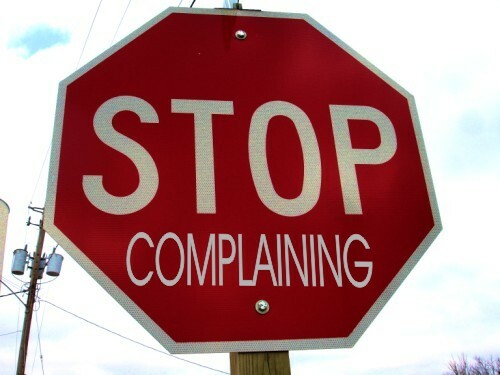 That's not always easy as complaints can sap everyone's time and emotional and spiritual energy. I find it's important to deal with complaints but not dwell on them. 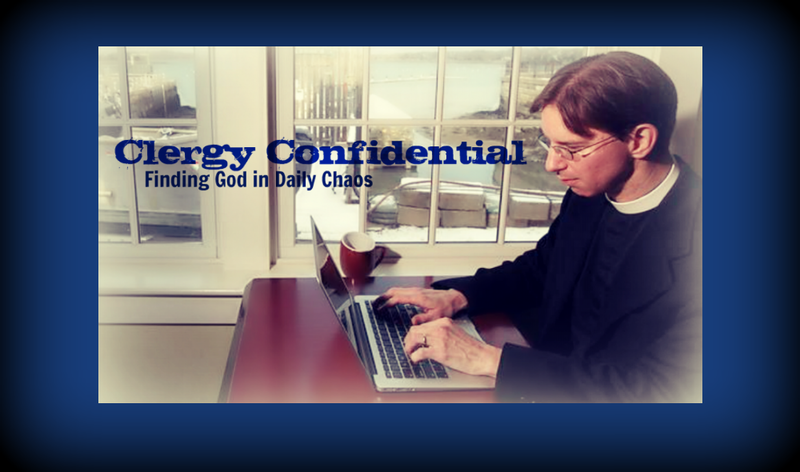 Once ministry becomes reactive, it gets mired in the muck of minutia. Thus parish leaders need to keep their heads up, their vision high, and allow the gospel to soar within both their souls and their setting. Oh, and if you still insist on complaining? Congratulations, you're the new committee chair. I would love to have seen the "taped responses" at the end of each limb of the phone tree... I'm sure you would have written some doozies! Not so different in synagogues... Of course, we Jews had a lot of practice complaining to Moses while we wandered in the desert for 40 years! Love it! Love it! Love it! I'm forwarding it to the rector-sub-dean, and curate and might as well include the sr. warden. What the hey!!! Wonderful to note that your wicked sense of humor is, as usual, sharp as razor tacks. This made me laugh out loud... especially the "to reach the associate priest to triangulate the rector" option! I laughed till the tears ran down my face. My husbands response to being on the alter guild was "be careful what you ask for!" Me too, cracked up at the "triangulate" option. Great stuff...just wish it weren't so accurate! this would make me very hesitant to voice any sort of opinion!